With Ousmane Dembélé and Thomas Vermaelen injured, and Denis Suárez and Lucas Digne left at home, Barça will be taking 19 players on the 10.35am CET flight south. Andreas Pereira is definitely out for Valencia, after sustaining an injury in the first leg of this tie. At his pre-match conference on Wednesday, the matters discussed by FCB boss Ernesto Valverde included Gerard Piqué's fitness, the probable need to score at least once and the difficulty of competing in the league and cup at the same time. For his part, Valencia manager Marcelino has said that "I don't know if we deserve it or not but I know we desire it. We're playing against the favourites and a goal down. But we are going to give it all we've got to make things difficult for Barcelona. 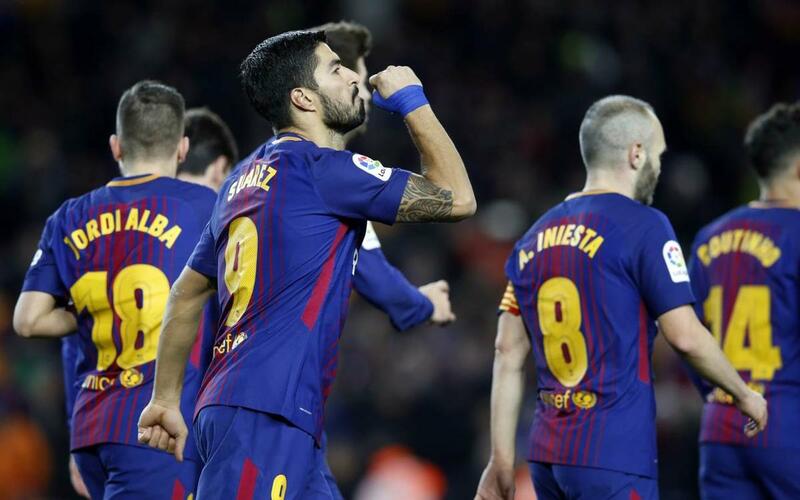 Barça are still the form team in Europe, drawing one and losing one (both to Espanyol) of the last nine. After a great start to the campaign, Valencia have lost four of their last five. Valencia have only won one of the last seven Copa del Rey ties against Barça. That game, in March 2008, is also the most recent win for Los Che over the Blaugrana at Mestalla. There has only been one goalless draw in the last 35 meetings. And if the 1-0 scoreline from the first leg is anything to go by, Barça can feel very confident of making it into the final. This match will be essential TV viewing but if you are unable to see it for whatever reason, then why not treat yourself to our live English language commentary on Radio Barça? The link will appear on our home page shortly before kick-off. Oh, and don’t forget that you will find live updates on all the action via our Twitter account. Força Barça!